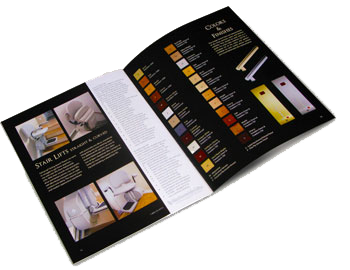 To receive your free copy of our 26 page color catalog, please complete the order form on the right. Our catalog will be sent to you within 48 hours, free of charge. It's filled with details and full-color photos of our complete line of home elevators, platform lifts, dumbwaiters and stair lifts. You can also request our free catalog by calling 714-228-9982.
to learn how Nationwide Lifts can assist you.